There are no such old days left when the memory in gigabyte byte was enough to store almost every kind of important file. Nowadays, an average computer is having more than a million files in it and users are having memory in Terabytes. Each and every day billions of files are sharing from one system to another. The files we shared or kept in our system are full of data. The data inside those files can be any type, it can be a presentation file or your credentials. Even somehow your bank account detail and credit card info are also saved into some file if you used to do shopping using that system. If you remember those autofill when you are about to type your credentials in the website login box. It gives you the option to fill those boxes automatically. So, that data is saved somewhere on your computer that is why it’s popping up to help you. But what when someone Stole the data and use it for any suspicious activity. Whoever stole your data and if he used it for the wrong deed then it would be a big problem for you. To prevent such situation you must have to Encrypt your data using some encryption software. The good part about these Softwares is that you don’t have to be an expert when you are about to dig into encryption stuff. The Encryption software will do the task automatically for you within few clicks and this task can be done easily by a normal computer user. 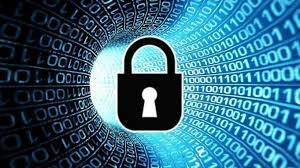 We have listed some best encryption software so you will be secure with your data. Once your data is encrypted using this encryption software, you don’t have to worry about any person reading or stealing your files. They can’t get access or read your data without having the password. AES Crypt is an Open Source Software for File Encryption. You can Encrypt your data files using this software. This software allows you to encrypt your important document or other various types of files. You can not encrypt any folder or hard drive using this software however you can use this to encrypt multiple files at once. Working with AES Crypt for file encryption is very easy, in windows, you can easily encrypt a file just by right clicking and choosing the option of AES Crypt to do its task. In MacOS you can just drag and drop the file into the software area and it will do the rest by itself. The only thing you have to worry about is providing a password and after setting the appropriate password and the data inside will be safe. This Software is using 256-bit encryption algorithm. This is a reliable, trusted and completely open source encryption software to use. VeraCrypt is a free open source Encryption software that is supported on Windows, Mac, and Linux. VeraCrypt is developed by IDRIX. Using VeraCrypt you can Encrypt an entire partition or storage device, it can be a hard drive partition or USB flash drive. It uses hardware acceleration to speed up the process 4-8 times faster. With its enhanced security algorithm, it is almost impossible to gain access to files without having a password. Your Windows OS contains lot of signification amount of data such as your location, your name, the applications you run etc. This all kind of information can be easily handled and stored safely using VerraCrypt. If your computer is full of important data and you don’t want to encrypt each file separately then we will recommend you to use Comodo VerCrypt. This is specialized for encrypting your hard drive partition. It gives you two methods to secure your important data. Either you can use each hard drive partition separately and encrypt your very important data or you can just mount the virtual partition of your hard drive. With a number of great features, you can encrypt your files with ease. The encryption process can be done in two different authentication types, it can be using password or USB stick. This software also allows you to add the spare layer of security. CipherShed is a free open source encryption software. It is used for encrypting files and hard drives, it can be USB flash drive or any external hard disk drive. After finishing the encryption process you can share your files and data without any worry, from one system to another. This is very secured software for this task. Thus this is an open source software so if you are a programmer who wants to contribute to this amazing software than you can do it from its official site. Since it is Windows, Mac, and Linux based so it makes it very popular around these Operating Systems. 7-Zip provides Strong AES-256 encryption which is pretty strong to encrypt and secure your personal data. This is very lightweight software to use. 7-Zip is mostly used for compression of the file but it has this amazing feature of encryption as well. Same as CipherShed it is also available for contribution if you can edit the code to make it more usable and excellent. It uses Standard BWT, LZ77-based algorithm. 7-Zip is supported by these applications as well: WinRAR, PowerArchiver, TUGZip, and IZArc. On the list of Microsoft’s Windows features or inbuilt tools, Bitlocker is known as one of the inbuilt tools for data encryption. It provides you most protection when it used with the Trusted Platform Module that is simply known as TMP. In addition to security features, it also provides an option to lock normal startup process until a PIN provided to it. You can just simply encrypt your hard drives usinBitLocker. To access and using the amazing encryption features of BitLocker you can just simply search this in your windows search bar.